MOON TOWNSHIP — The Robert Morris English Department and Sigma Tau Delta teamed up as masters of freight once again for the Eleventh Annual Creepy Conference. 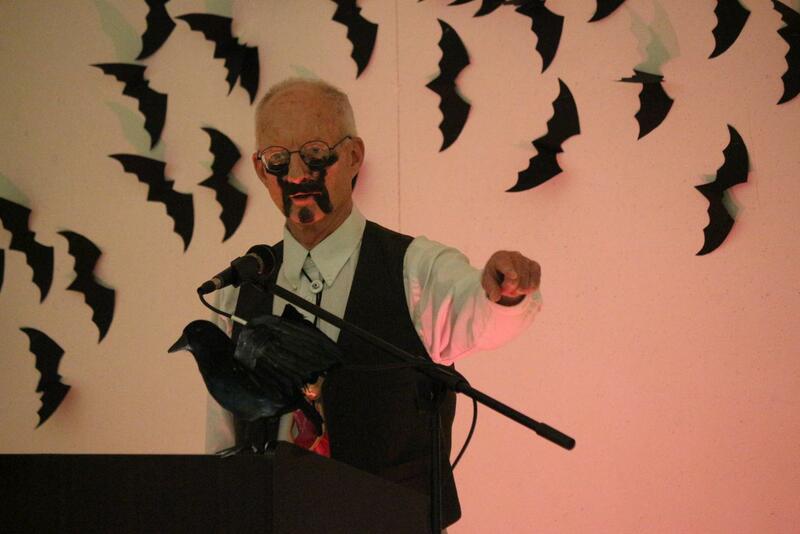 Offering scary presentations from students, it made sure everyone was ready for the spookiest day of the year. 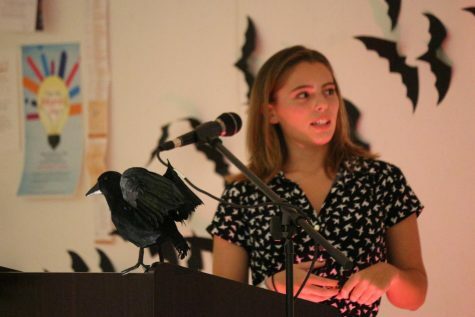 Pictured: Olivia Campbell presenting “Horrific Deaths at the Happiest Place on Earth.” October 30, 2018. 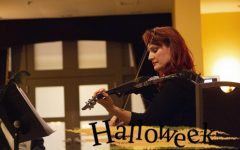 The topics featured at the event ranged from witches to killers, with each presentation offering something for everybody. 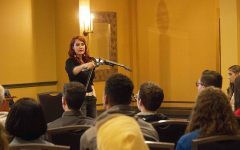 Jenna Moses, a visiting member from the Slippery Rock chapter of Sigma Tau Delta, presented “Real Life Monsters: How the Butcher of Plainfield Inspired Horror Movies” for the conference. 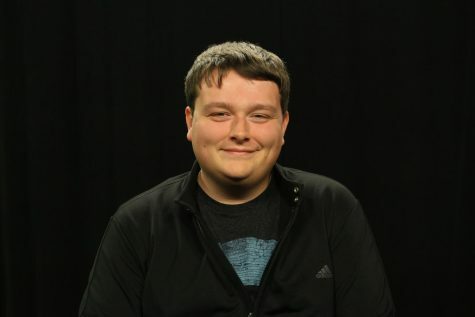 Pictured: Jordan Redinger presenting “Behind the Mask: The True Story of Scream.” October 30, 2018. 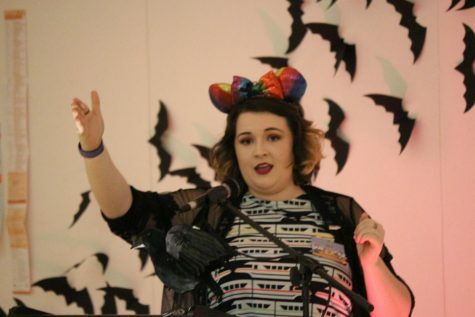 “Horrific Deaths at the Happiest Place on Earth” was presented by RMU student Olivia Campbell. Detailing the unexpected deaths in Disney’s theme parks, it gives a more menacing aura to the Magic Kingdom. Gruesome and chilling, the true stories of the popular resort may make some afraid to go back. 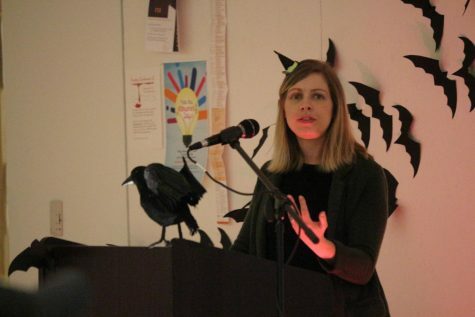 Pictured: Jennifer Beno-Young presenting “Mythology of Witches: From Ancient Greece to Modern Times.” October 30, 2018. Another presentation by the RMU community was presented as a play. “Patrimony,” performed by Brandon Pierce, Johnna Lefebvre and Marla Burgess-Lefebvre, is a dramatic reading of the one act play by John Lawson. Offering a haunting performance worthy of screams, the play showed that RMU can hold their own when it comes to scary stories. This year’s event marked the first ever Creepy Conference costume contest, which added even more spirit to the event. Giving horror fans a chance to show of their skills in a costume, attendees took the chance to get the prizes. 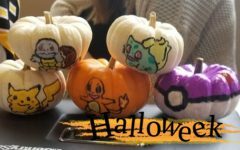 No matter how old they are, RMU students are always willing to celebrate the spooky season.